The University of Ottawa’s Richard Labbé Makerspace is an incredible — dare I say, a national — treasure. This fall, it moved from its original spaces in the Colonel By building to the shiny new STEM complex where, Dr. Hanan Anis and her management team led by Zaineb Al-Faisley and Justine Boudreau, have taken their fabulous creative engine and supercharged it. If you haven’t visited it — you should. 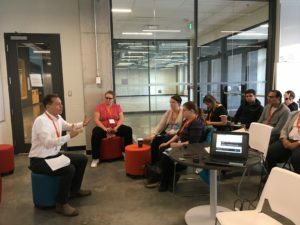 With floor to ceiling windows and banks of open tables, Makers can design, tinker, collaborate with peers and learn to use a range of technologies. There are 3D printers, of course, the old Epilog laser cutter is still there, but the soldering table is new, and the VR station gets a new, more up-front billing in the space too. Plus, the space has laptops, robots, all sorts of models and parts — and of course, if they don’t have what you need, you can make it yourself, on the spot. 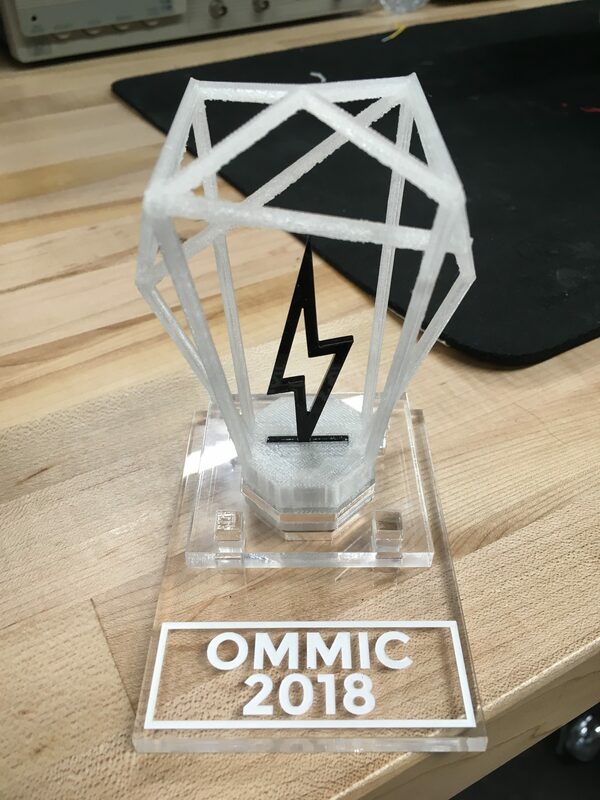 To highlight their work and to promote the Maker spirit, the Makerspace team coordinates an annual symposium called the Ontario Makers, Mentors and Innovators (OMMIC) conference. 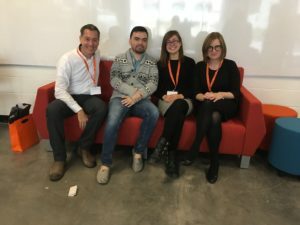 This year, I was thrilled to have shared the spotlight with three brilliant graduate students conducting research on questions that sit at the intersections of teaching, Making and learning. Our presentation slides are embedded above. Jean-Luc Ciocca presented a summary of his M.A. thesis research that explored how teachers plan for maker-oriented activities. His work offers new evidence of planning in action and the importance of teachers’ accepting the lack of control and very unpredictable nature of making as it unfolds. 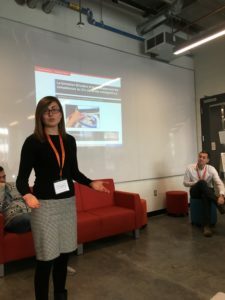 Julie-Anne Turner presented an overview of her M.A.thesis project, which she designed and conducted with participants from the 2018 Canadian Institute for Digital Literacies Learning. In her preliminary analyses, she articulates features of maker-oriented professional learning for teachers and identifies important implications for practice — namely that for teachers to become Makers, it seems essential for them to learn through making. Access to theory and new ideas also seemed important for teachers’ learning. Plus, in Julie-Anne’s work, she noticed how much reflection and discussion took place during the Institute. 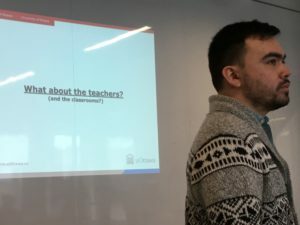 Jonathan Weber presented an overview of his PhD dissertation proposal that will explore the development of pre-service and in-service teachers’ Maker identities. The issue of Maker identity is fundamental to the realisation of any sort of broader vision for Making in K-12 schools. Jonathan’s work is in the early stages, but at the core of his project is an exploration of the complexities of teacher identities and the ways that what teachers believe about themselves shapes what they ultimately choose to do in classrooms. Finally, I presented evidence from the first year of a SSHRC-funded research project focused on making as learning. 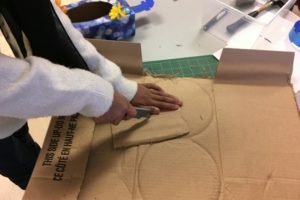 In this work, we are beginning to understand the embodied nature of learning and the ways that children move to construct meanings with digital and physical tools. We are so thankful to our Faculty of Engineering colleagues for creating the OMMIC conference, a space where Education research on Making can be shared with interdisciplinary audiences. We look forward to next year.